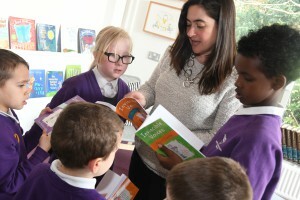 Zoe Antoniades graduated from the University of Hull with a degree in English and Drama and later trained as a teacher at the Institute of Education, UCL. Zoe has taught in Lambeth and Hounslow specialising in maths, English and the arts; working on a wide range of creative projects in partnership with the Southbank Centre, the Royal Albert Hall, the Young Vic and Polka Theatre, Music for Youth and Film Club. Zoe later set up her own company, Invincible Voices, so that she could work independently as an author and tutor. She provides creative writing workshops for young people, through which she has published three anthologies of short stories, Invincible Voices – Long Shorts, Medium Shorts and Short Shorts, which were launched at Waterstones, Chiswick in April 2017. The fourth book in the series, Invincible Voices – Winter Shorts, is due for publication later in 2018. 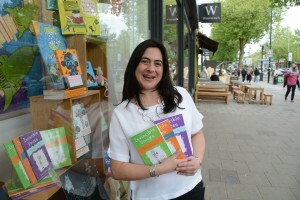 Zoe has also written a memoir, Tea and Baklavas which won the Winchester Writers’ Festival Memoir Prize; she is currently working on developing her own novels for children. Imaginative and exciting ideas are developed together through the process of shared writing, resulting in collections of short stories which are published through Matador press. Ideal for children aged 6-10 years. Are u going to come to the Grammar Junior school in Nicosia, Cyprus, my school? Thank you for replying and i’ll see you soon! See you on Friday!